Cassava Cake is a popular Filipino snack and one of my favorite. 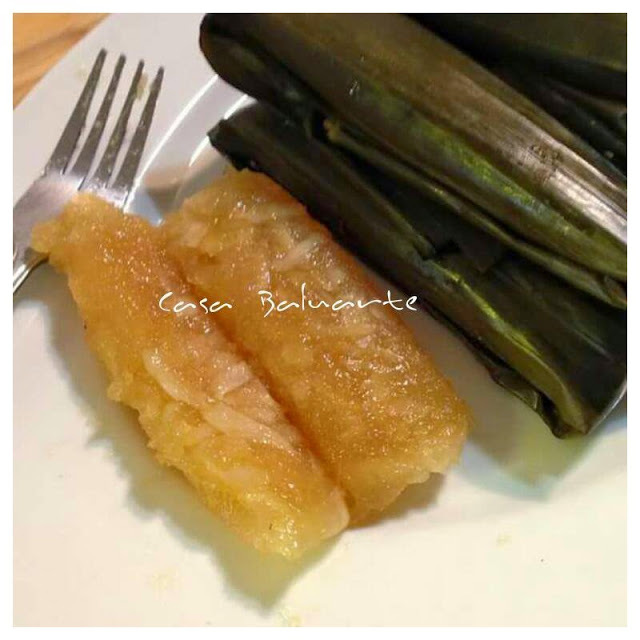 This recipe is a little different from the regular Filipino Cassava Cake as it does not uses condensed or evaporated milk. 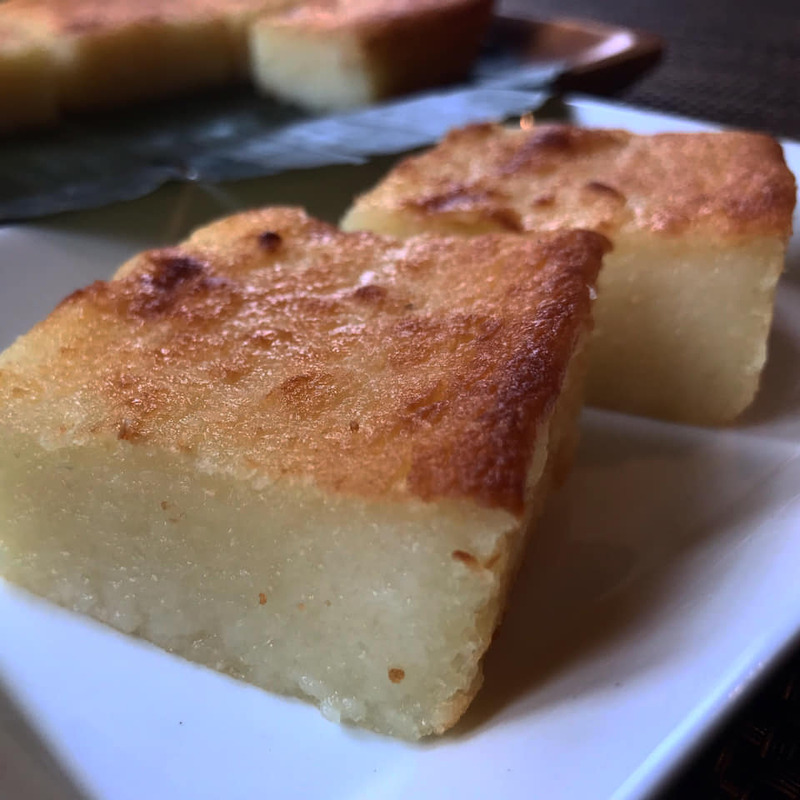 This Cassava Cake recipe is semi-soft, slightly chewy, delicious and a perfect afternoon snack. 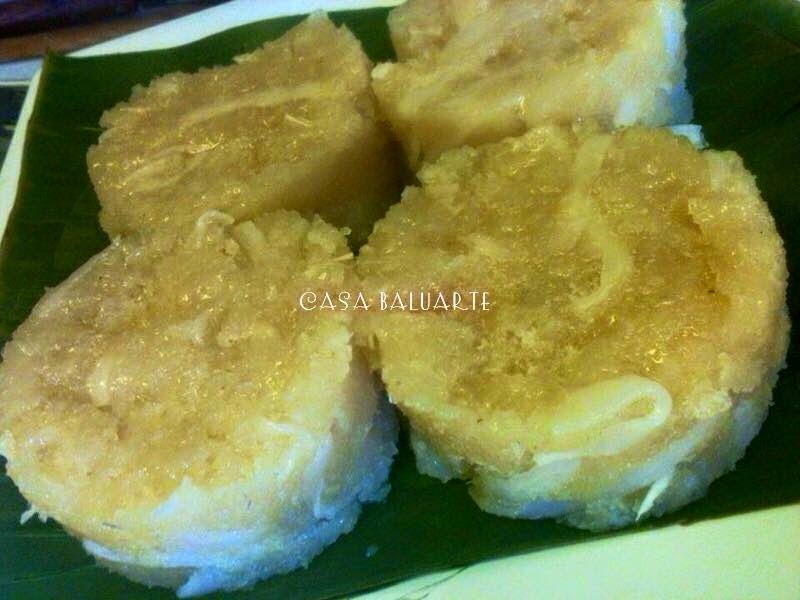 This Cassava Cake is Malay-Chinese inspired and worth a try. It is moist, tender and super delicious. Tapioca flour is added but I don't have it handy so I used rice flour and it worked just well. It gave the Cassava Cake a firmer texture, not too soft and sticky. 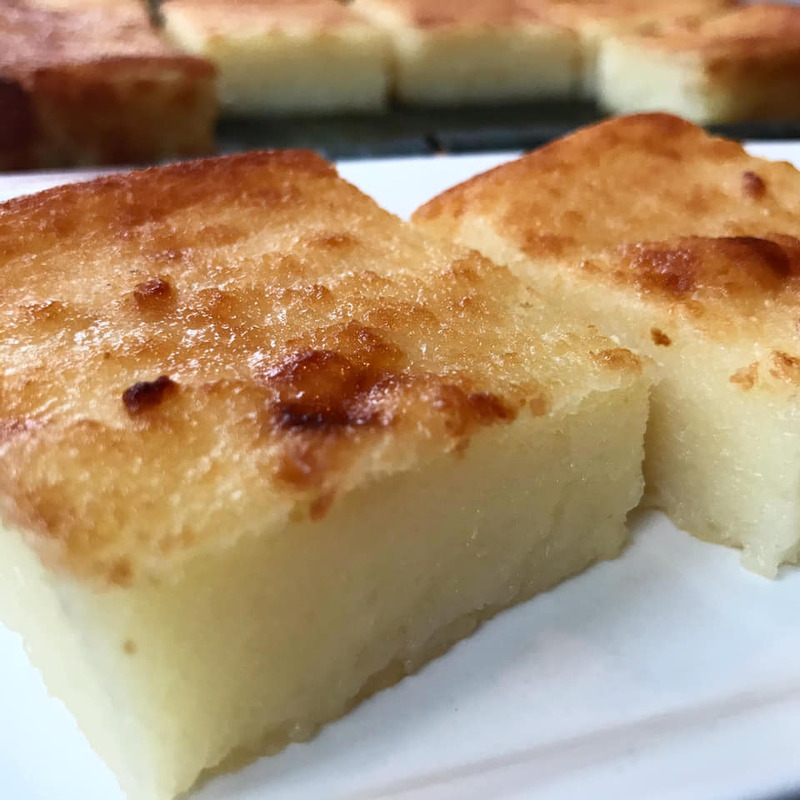 Filipino Cassava Cake is usually made with condensed milk but with this recipe sugar is used instead. The taste reminds me of the Cassava Cake sold by street vendors in Iloilo City. 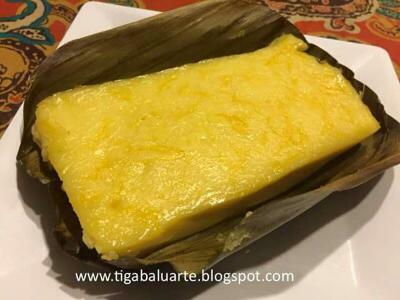 If you like Cassava Cake then you have to give this recipe a try. This recipe is not too sweet so add more sugar if needed. 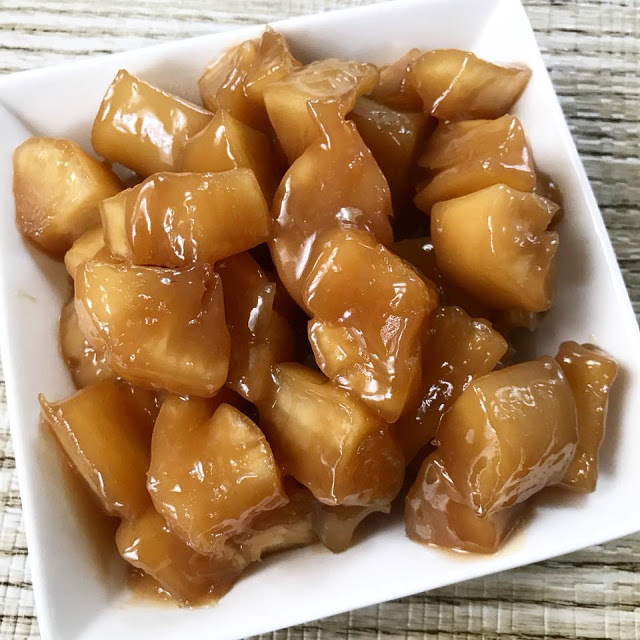 Don't forget to check related Cassava recipes below by clicking on the name link below the picture to see complete recipe. Drain excess juice from the cassava but not dry. Add tapioca or rice flour to grated cassava and stir to combine. Add sugar and salt and mix until sugar has dissolved. Beat eggs and add to the mixture. Mix until well combined. Pour in coconut milk and mix until well combined. Taste test if more sugar is needed. Brush pan with 1/2 tbsp melted butter. Pour cassava mixture into the pan. Bake for 1 hour. Insert a toothpick into the center of the pan. If the toothpick comes out clean with no streaks then the cassava cake is done. Bake for additional 10-15 minutes if needed. 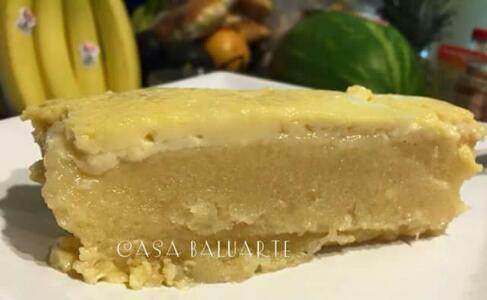 Remove cassava cake from the oven and brush with the remaining butter. Change the oven temperature to broil and return baked cassava to the oven. Broil for about 3-5 minutes until the top is golden brown. Remove from oven and set aside to cool completely before cutting into pieces. Enjoy!